Designation: Professor, Director, Department of Experimental Research at Sun Yat-sen University, China. Research Interest: Multidrug Resistance, Tyrosine kinase inhibitor, ABC transporters, Exosomes, Cancer, Cancer stem cells. 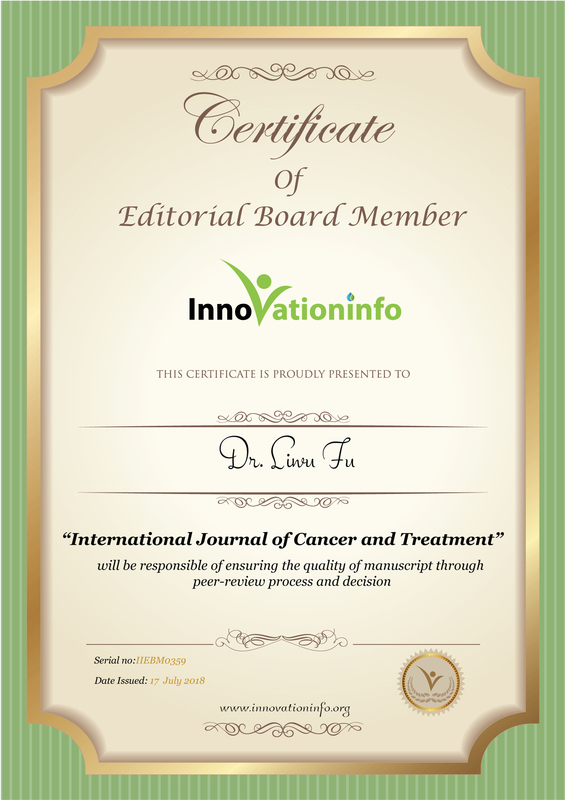 Biography: Dr. Liwu Fu, Professor, Director, Department of Experimental Research (Cancer Institute), Cancer Center, Sun Yat-sen University, Guangzhou, China. He received his Ph. D. degree from Sun Yat-sen University in 1996. And then he became an assistant professor, associated professor and full professor in Cancer Center, Sun Yat-sen University. He also stayed in Medical University of South Carolina as postdoctoral fellowship from 1999 to 2001. His active research fields include (1) reversal multidrug resistance induced by ABC transporters, (2) new drug research and development for treatment of cancer patients, (3) primary cancer tissue culture and test of drug sensitivity for personalized chemotherapy. He got a lot of research foundations from 863 projects (PI and Co-PI), 973 project (Co-PI), National Natural Scientific Foundations of China, and so on. He published more than 250 papers including Nature Communication, Cancer Res, Inter J Cancer, Cell Cycle, Mol Med, Mol Cancer Ther, Mol Pharm, Mol Pharmacol, Br J Pharmacol, Biochem Pharmacol etc. journals. He applied for 12 patents. He is Chairman of Board of Directors, Guangdong Anticancer Society; Associate Director, Cancer Pharmacology and Chemotherapy Section, Chinese Pharmacological Society; Associate Director, Anticancer Drug Section, Chinese Anticancer Society; Active Member of AACR; Member of Board of Directors, Guangdong Pharmacological Society; Member of Chinese Pharmacological Society.